Enjoy this private day tour outside of Madrid including visits to the Monastery of the Escorial and Valley of the Fallen. You will travel in a private vehicle with a private chauffeur to ensure your guide´s full attention. Once you are picked up at your accommodation, you will set off to a quick panoramic tour of Madrid until you reach your first stop: the Escorial Monastery. It is also known as the Royal Monastery of San Lorenzo El Real, built in the 16th century by King Phillip II and it now boasts a great European Art collection. You will also visit the Pantheon of Kings and Basilica. After this, the tour will continue towards the Valley of the Fallen. 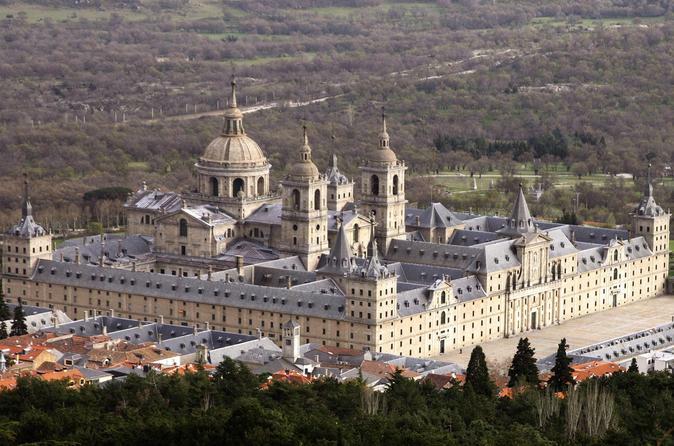 It is very close from the Escorial Monastery and was built as a monument to the deceased of the Spanish Civil War. You will then be transferred back to your accommodation.